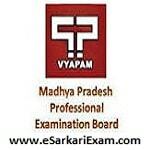 Eligible Candidates can Download MP Marketing Federation Result at the Official Website of MPPEB. Open Results Link at Home Page. Click on MP Rajya Sahkari Vipnan sangh Maryadit Recruitment test- 2018 MARKFED Result Link. Click on Qualified Candidates Link.